A retrofit development that our consultants worked on has won a prestigious national award. 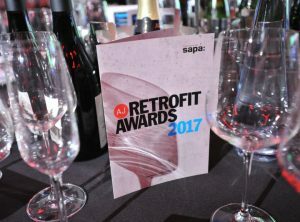 Print Works House in Fitzrovia, London, won the ‘Housing Under £5 million’ category in the Architects’ Journal Retrofit Awards. The project consisted of converting and extending a 6 storey office building into three new luxury flats and 5,500 square feet of modern commercial space, later fitted out to create a specialist gym/wellbeing centre.